Tomorrow, November 14, is World Diabetes Day. This year’s theme centres around healthy eating as a management tool for both types of diabetes, and as a way to prevent some cases of type 2 diabetes. 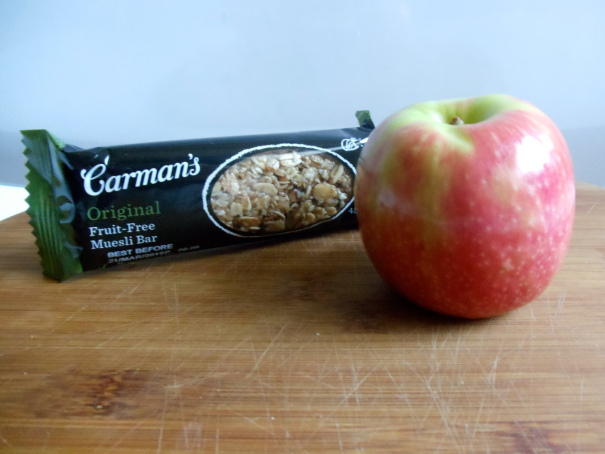 Eating well has always been a core part of my diabetes management, particularly since I’m not a big “exercise” person. I’ve learnt a lot about my food, over the years. When I first started out, I thought that brown bread was automatically better for my blood sugar levels. I religiously stuck to low fat foods, overlooking the other nutritional content that was good or otherwise. And, there was a lot of frustrating times spent writing things down and trying to look for patterns. Today, I do my best to adopt a diet of low glycemic index (GI) staple foods. A low GI diet ensures that my blood sugar levels rise slowly and steadily after eating, rather than spiking rapidly and then crashing. This includes Burgen bread, Weet Bix, Plain Oats, fresh fruit, crackers that are rich in wholegrains, eggs, nuts and fruit free muesli bars during the day. And home cooked meals with salad or veggies at night time. 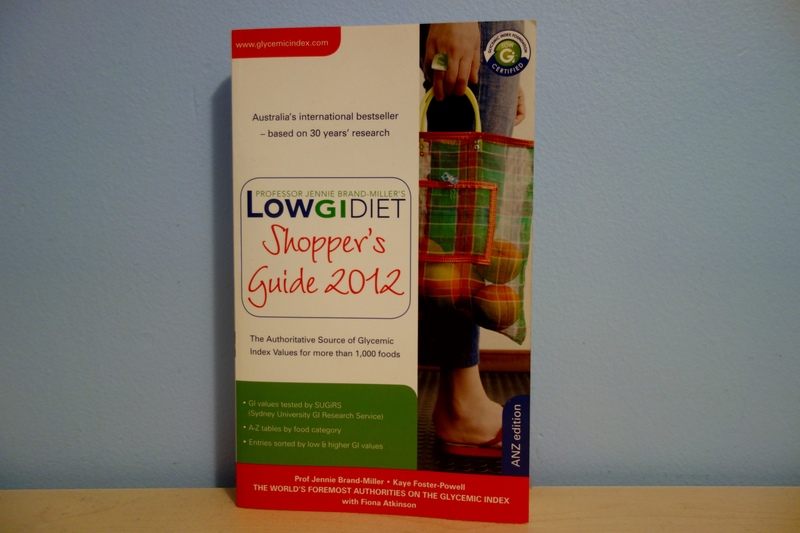 I’ve also invested in a copy of The Low GI Diet Shopper’s Guide, which is my GI bible. I’ve also become extra cautious of the hidden sugars in my foods this year, particularly after watching That Sugar Film. Generally, I look for something with less than 10-15g of sugar per 100g, which is 10-15% total sugar in a product. Muesli bars with choc tops, berries and yoghurt drizzle are generally a no go. 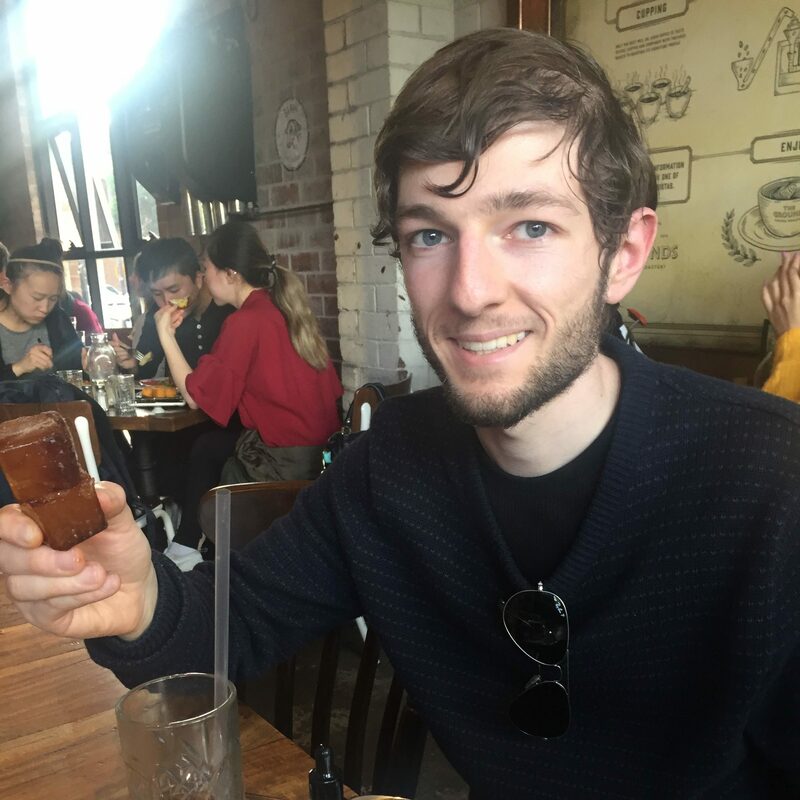 Fruit free and nut bars are generally my pick, but there’s very few decent choices on the supermarket shelves here in Australia. Ditto for yoghurt. I can’t stomach natural yoghurt no matter how good it is for me, so I usually opt for a plain vanilla. The biggest craze at the moment seems to be those colourful, sugar laden berry glazes on the bottom of the tub that you stir through when you go to eat it for the “visual” effect. I’d be better off having a block of chocolate or bowl of ice cream instead. Then there’s the sugar in my coffee and tea. 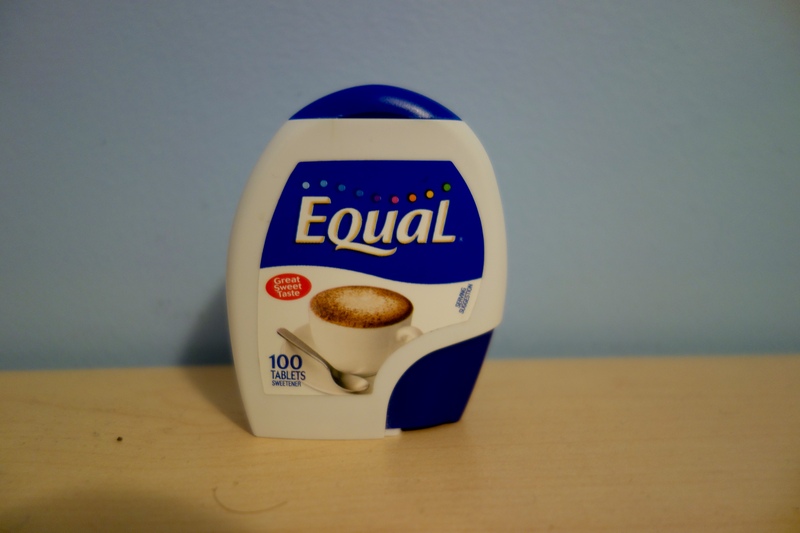 Prior to watching That Sugar Film, I had my coffee and tea with two sugars, in the form of artificial sweeteners. Today, I’m down to half a sugar in my coffee at home, and I drink my tea straight. How did I manage this? Commitment. First cutting down to one and a half spoons, and getting used to the taste. Then cutting down to one. And then down to half. And finally, none. Even if that meant chopping my Equal tablets into halves at home, I’m so glad that I did. And I now have more of a receptor to sweetness in the other foods and beverages that I consume. So, that’s not to say that I’m perfect. I still eat junk food sometimes. Potato chips, ice cream, lollies, chocolate and other deserts. I buy my lunch most Fridays. I buy coffees 2-3 times a week. I still go overboard sometimes, and I have to adjust my insulin to accommodate those times where I eat more than normal. 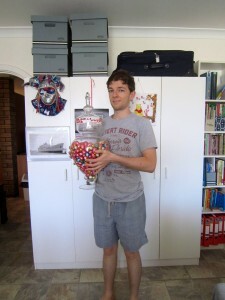 Like this one time that I won the Easter egg raffle at work (I did share it, though!). But a healthy diet is a big part of my diabetes management. And hopefully it’s a part of yours, too. You can read more about World Diabetes Day on the International Diabetes Federation website here. There will be a 15 hour Twitter chat for World Diabetes Day tomorrow starting at 7am US Eastern Time (that’s 8pm Saturday in Western Australia, and 11pm in Eastern Australia). I will be moderating the 6-7pm hour of the chat. Follow the hashtag #WDDChat15 on Twitter to join in when you can!